For every rule that you create, you can choose whether the role is assigned for ever or if it can be granted only for a limited time. 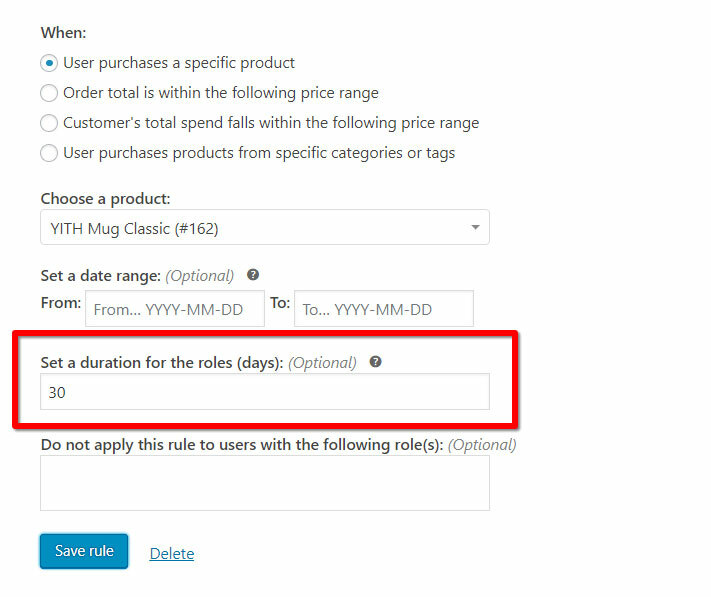 So, for example, if your customer gets the GOLD role because he’s purchased product X, he can get this role only for 30 days. After that time, when the role ‘expires’, the previous role will be restored. To set an expiration for the new role, scroll down in the rule settings. 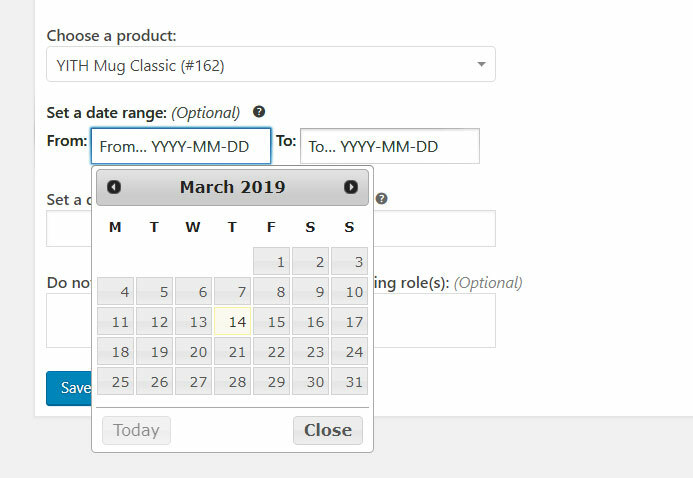 You’ll find a field called Set duration for the roles (days). Enter any value in days. When this time has passed, the previous role will be restored. So, if a customer switches from Customer role to Gold and the Gold role is limited to 30 days, after 30 days, the role Gold will be removed and the Customer role will be restored. For every rule you can also set an application time range, so the rule is applied only if the conditions are fulfilled during that time range. Before or after the dates that you enter there, the rule will be disabled.